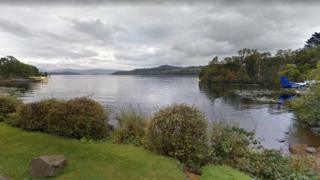 A man's body has been found in Loch Lomond after police were called to reports that an empty boat had run aground. Officers were alerted at about 14:00 on Sunday after the rigid inflatable boat was discovered at the shoreline near Cameron House Hotel. A Police Scotland spokesman said: "Significant inquiries are under way to establish the circumstances of this incident."